SCBWI ANNUAL SUMMER CONFERENCE IN L.A.
Saturday, February 23, 2013 8:30 a.m. - 4:00 p.m. Hear what's trending in the world of children's books, polish your writing and/or illustration skills, hang out with "your" people, and take advantage of the option of having your work critiqued by a professional. The day will be chock full of insider information that is sure to inspire both beginners and experienced writers and illustrators—and just might put you on the road to publication. Whether you are writing a picture book or novel or doing illustrations, your readers (including editors, agents and art directors) need to connect with your characters immediately to want to keep turning the pages—you have to hook them "right" from the start. Learn how it's done from an experienced editor. Since founding SCBWI more than 40 years ago, Lin Oliver has listened to the wisdom offered by virtually every great children’s book creator of our age. Much of this body of information has been distilled into 15 concise yet profound pieces of advice, an essential list of do’s and don’ts for people who create children’s books. Share in her ringside seat to learn what the "best of the best" have to say. When you have only a page or two, or an illustration or two, to gain the attention of an editor or agent, making a good first impression is a must. Our guests will share their reactions to first pages and postcards/illustrations submitted anonymously by participants. No advance sign-up is needed, and no extra cost. First page format: double-spaced, 12-pt. type, one-inch margins, no name, title okay, note whether a picture book, middle grade or young adult fiction, or nonfiction. No additional fee. Bring one first page and/or one postcard or illustration to the conference; they’ll be collected at registration.Pages and postcards/illustrations are selected at random and no particular page or postcard/illustration can be guaranteed to be critiqued during the session. Cheryl will share some of the good things she sees successful illustrators doing in this session that will combine craft and marketing. As an added bonus, there will be a showing of SCBWI's "Master Class" DVD with renowned illustrator, and Newbury and Caldecott winner, Tomie dePaola, the creator of more than 200 books. Great dialogue is so much more than just making your characters speak. It conveys the drama of your story, reveals character, adds pace and rhythm, and pulls readers into the essence of your book. In this session, you’ll learn eight basic rules for creating effective, real, believable and interesting dialogue that propels your story forward and creates an unforgettable voice for each of your characters. Format:double-spaced,12-pt. type, one-inch margins, title/page number on all pages. Picture books: six-page maximum. Novels: ten pages plus one-page summary. No folders, binders, cardboard, plastic sheets. No artwork except for author/illustrators submitting story with dummy. Additional fee—sign up on registration form. Portfolio critiques will be done by Cheryl Klein or a Hawaii children’s illustration professional at assigned times on conference day; bring portfolio to conference. Cheryl Klein is the executive editor at Arthur A. Levine Books, an imprint of Scholastic. Among the titles she has edited are MARCELO IN THE REAL WORLD by Francisco X. Stork, winner of the ALA's Schneider Family Book Award for Teens; A CURSE DARK AS GOLD by Elizabeth Bunce, winner of the Morris Award for a YA Debut Novel; WORDS IN THE DUST, winner of the Christopher Medal; THE SNOW DAY by Komako Sakai, a New York Times Best Illustrated Book; THE SAVAGE FORTRESS by Sarwat Chadda, and ZOE GETS READY, by Bethanie Deeney Murguia. She also served as the continuity editor in the U.S. for the last two books of the Harry Potter series. 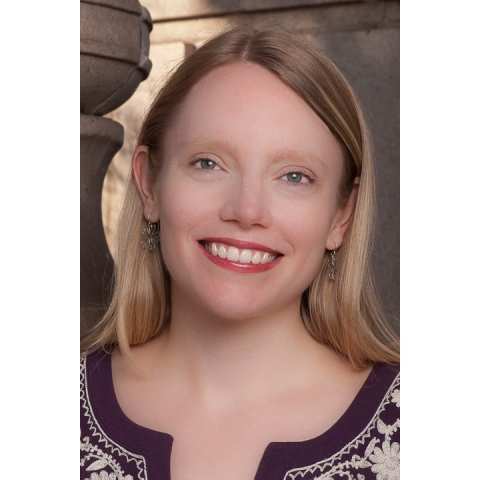 Her book SECOND SIGHT: AN EDITOR'S TALKS ON WRITING, REVISING, AND PUBLISHING BOOKS FOR CHILDREN AND YOUNG ADULTS was published in 2011. Lin Oliver is a leading children’s book author and writer-producer of family films, television series and movies for children. With co-author Henry Winkler, she writes the New York Times best-selling series HANK ZIPZER: WORLD’S BEST UNDERACHIEVER, which has sold almost four million copies, as well as GHOST BUDDY, a new comedy series; the first two GHOST BUDDIES books, ZERO TO HERO and MIND IF I READ YOUR MIND?, are available now. 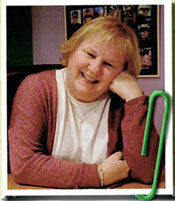 She is also the author of four comedy novels that comprise the WHO SHRUNK DANIEL FUNK? quartet. Lin’s current projects are SOUND BENDER and its sequel THE SHADOW MASK, middle-grade adventure novels that she co-authors with her son, Theo Baker, and she is also working ALMOST IDENTICAL, a series about tween twin girls, the first two books of which have been published. In addition, she produced the animated feature TRUMPET OF THE SWAN and has written and produced over 300 half-hours of television, including HARRY AND THE HENDERSONS, CORDUROY and WAYSIDE SCHOOL. As if all that weren't enough,Lin is also the co-founder of SCBWI, an international organization of 22,000 writers, illustrators and publishers of children’s books, and she serves as its Executive Director. 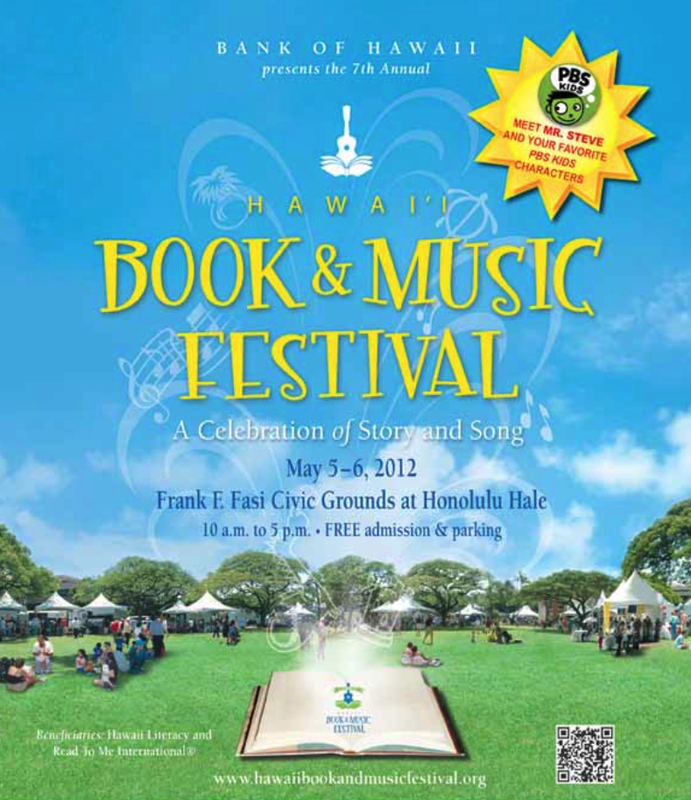 A celebration of Story and Song on the Frank F. Fasi Civic Grounds at Honolulu Hale. FREE admission and parking. Author Signing in the Barnes and Noble tent, Saturday, May 5, 3pm. Keiki activities: Origami, coloring and sketching in the Keiki Activity Booth, Sunday, May 6, 1:30pm. Get ready for an unforgettable experience with the very best in the field of children's literature! Over a jam-packed weekend you'll hear from top agents and editors on the state of the market, get inspired by award-winning authors and illustrators, discuss how to progress your career, attend small, targeted breakout workshops, connect with old friends and meet new ones! Whether you are an author or illustrator, published or unpublished, create picture books or young adult novels, you won't want to miss the SCBWI Summer Conference. PLUS a host of editors and agents discussing the industry from publishing houses and literary agencies including: Harper Collins, Penguin Young Readers Group, Writer's House, Scholastic, Simon and Schuster, Abrams, Random House and more. Registration opens April 18th at 10am PDT. This conference sells out so don't delay! You can register online at www.SCBWI.org or by phone (323-782-1010) starting April 18th at 10am PDT. You must be a current SCBWI member at the time of registration and the conference to be eligible for the member's discount. On twitter! Our speakers, attendees and bloggers will be tweeting! Follow us and the hash tag #SCBWI to get the latest. The Mazza Museum, which features international art from picture books, is holding its 20th Annual Summer Conference from July 16-20, 2012 in Findlay, Ohio. 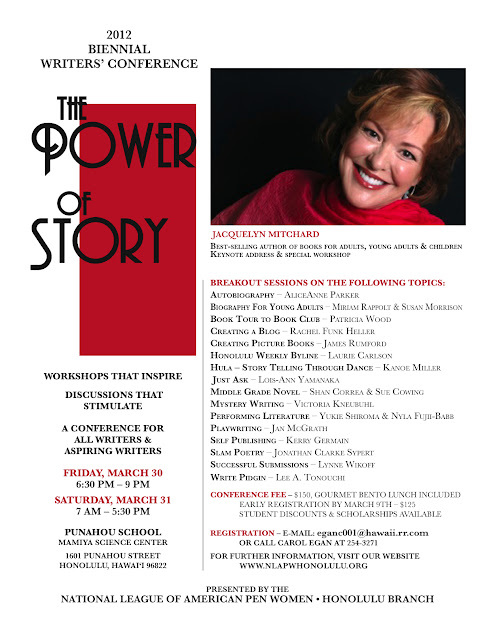 Guest speakers include Carmen T. Bernier-Grand, Dan Yaccarino, Susan Stevens Crummel, Janet Stevens, Boris Kulikov, Wendell Minor, Florence Minor, Mary Higgins Clark, Loreen Leedy, David Diaz, Peter McCarty and Walter Wick. Offerings include the children's book writing strand (eligible for graduate and undergraduate credit hours), book sale and autographing by artists/authors. A Floyd & Stella Dickman grant has been established to help librarians with registration fees. This summer, July 9-13 we proudly will present the tenth Oregon Coast Children's Book Writers Workshop, www.occbww.com, in the exquisite Oregon coast town of Oceanside. More and more of our students are publishing and signing with agents. If you are ambitious to publish a children's book (or simply adore children's books) this is the workshop for you. It will allow you to connect directly with authors, editors, agents who are active in the children's book business. If you go to the website and look under Evaluations, you'll see that it's received extraordinarily high praise (some listed below). There's a generous refund policy (described at the website) if you decide to register now and then later on change your mind.